It wasn’t that long ago that having to replace a car’s engine was considered to be pretty routine. Most reliable vehicles still needed some love and attention in the form of maintenance and repairs. These days, plenty of cars will make it past 200,000 or even 300,000 miles on the original engine if they’re cared for properly. If you’re looking for a reliable car today, there’s an excellent range of vehicles to choose from. In other words, you don’t have to necessarily drive something boring, super expensive, or similar to what your dad likes. We’ve put together a list of some of the most reliable cars you can buy in 2018. Yes, this is the car many people curse for going too slow on the road, but people who buy these are interested in saving on gas, not going fast. That somewhat complex hybrid powertrain is surprisingly reliable, despite all the hand-wringing about it when the Prius first exploded in popularity. 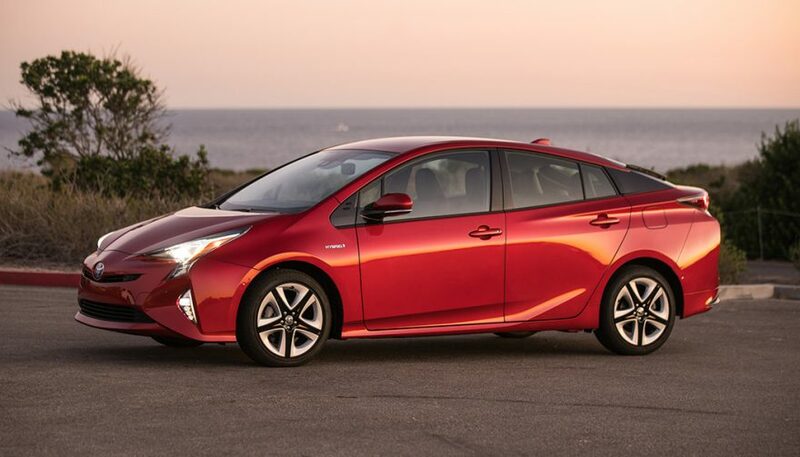 The current generation of the Prius not only has a more premium feel, but the chassis is also significantly stiffer. That means a more engaging driving experience, if you care about that sort of thing. Then there’s the 54-mpg combined rating, meaning you can visit the gas station only occasionally. There’s a ton of subcompact SUVs on the market these days, but one of the best for reliability is the Hyundai Tucson. 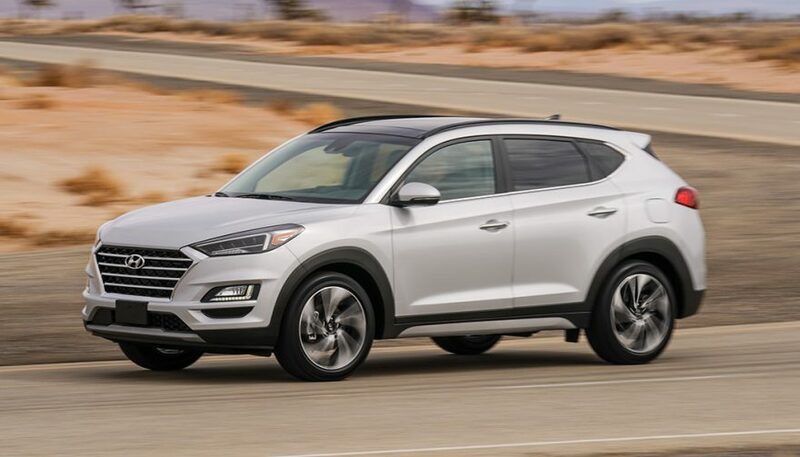 The Tucson was voted as one of the IIHS Top Safety Picks for 2018, making this SUV great for transporting your loved ones safely. Yes, you can squeeze five people in this vehicle, but four is a much more realistic number. Still, if you stay on top of servicing, this crossover could be your reliable commuter. You’re not going to burn a bunch of rubber with the Tucson, but it can come in handy when you want something reasonably utilitarian, which also isn’t a pain to fit in tight parking spots. In addition to fitting in some unique tight spots, you won’t catch yourself being stranded thanks to the SUV’s clever structure and advanced technologies. Just because you want something reliable doesn’t mean you have to go with a boring car. 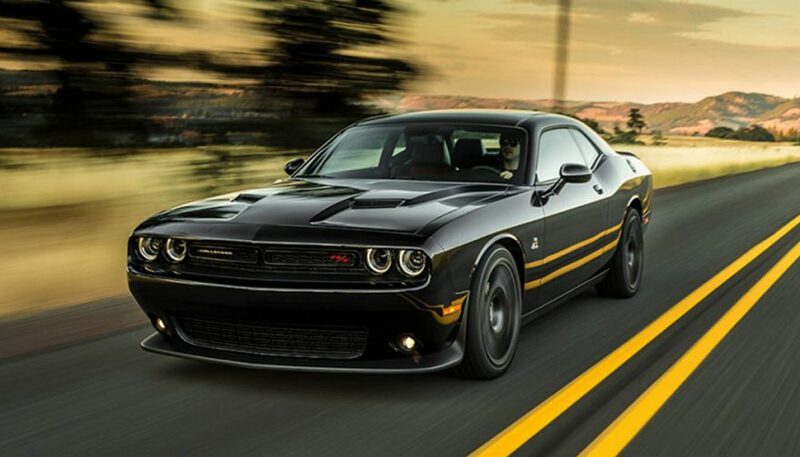 The Dodge Challenger ranks high in reliability studies, a fact that surprises many. While the Challenger certainly can shred plenty of rubber, it also has a unique and show-stopping look that helps you stand out from the droves of boring sedans and crossovers. Make no mistake, you also get plenty of comforts and technologies, making the Challenger great for long trips. It truly is a modern, and reliable, muscle car. How does getting 35 mpg on the freeway with a premium sedan sound? 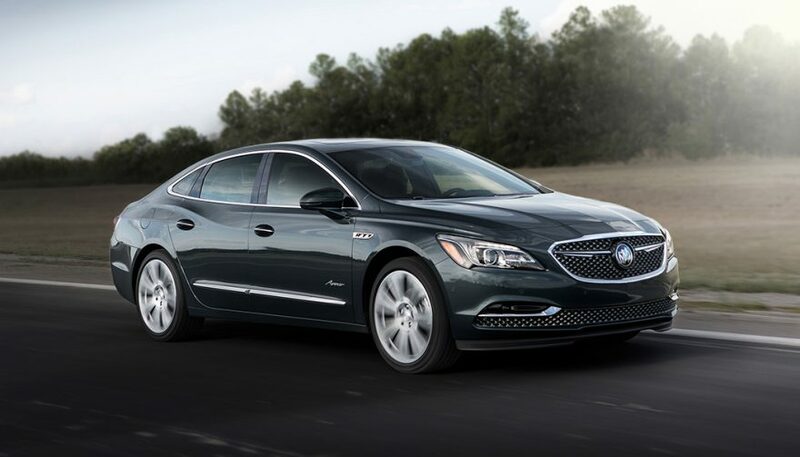 The Buick LaCrosse delivers just that, plus you won’t be dealing with as many issues as you might with other options. As a semi-luxury option, the LaCrosse can be had with a nice mix of features, all at reasonable prices. For example, the panoramic moonroof tilts and slides, allowing light and fresh air to flow into the cabin. A power rear sunshade helps to cool things off in the summer, while active noise cancellation creates a serene environment. 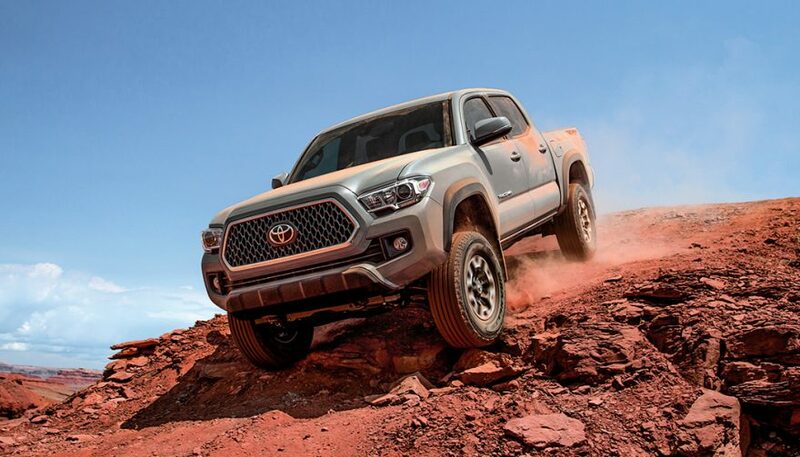 It wouldn’t be a vehicle reliability list without the Taco, a truck that’s won over the hearts of many in North America. Finding one used at a reasonable price can be next to impossible, thanks to the reputation it’s earned for being ultra-reliable. The current generation has some smart features. For example, all models provide a GoPro mount on the windshield, so recording your adventures is easier. Also, if you opt for a TRD model, they gain goodies like special skid plates and Rigid LED fog lights. 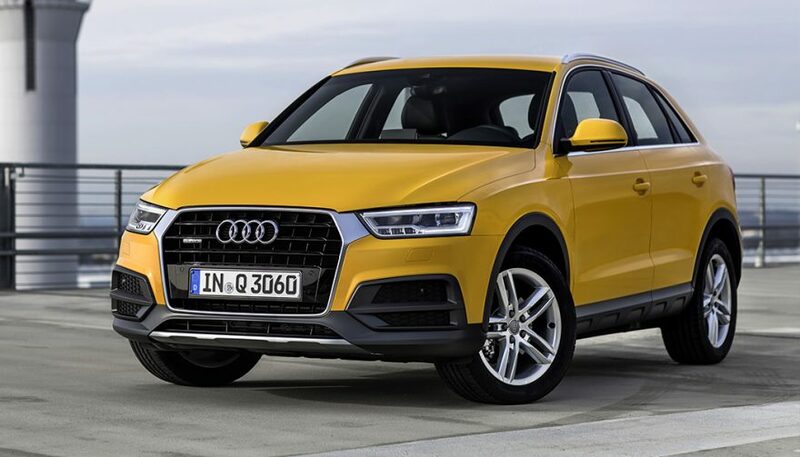 Most Audis haven’t earned a reputation for reliability, but the Q3 is a standout in numerous reliability studies. Both trims come with a nice array of standard equipment, so you’re not only getting something that runs well, but that also is feature-rich. Among the highlights is a parking system plus, which bundles together a rearview camera and acoustic sensors for the front as well as the rear. Premium Plus models dress up the interior with Aluminum Satellite inlays, while full LED headlights illuminate your pathway better. 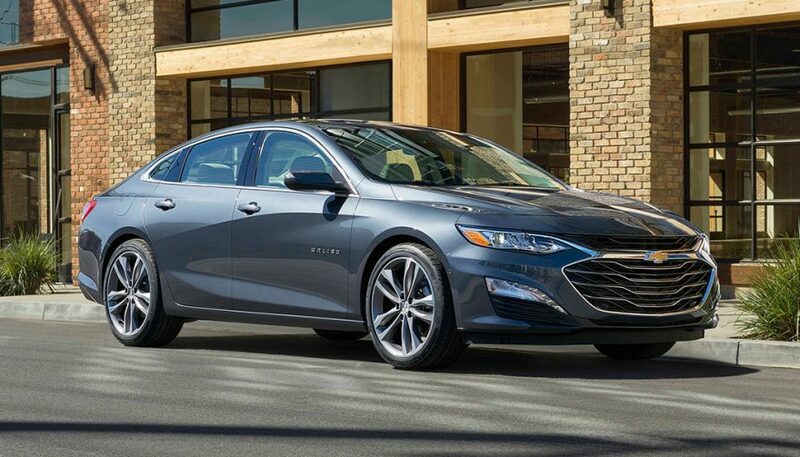 The midsize sedan segment is packed full of harsh competition, so the fact that the Chevrolet Malibu has risen toward the top for reliability is that much more impressive. 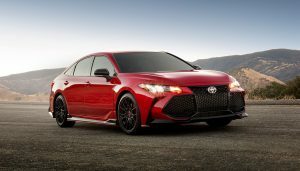 The current offering includes your choice of either a 1.5-liter turbocharged four-cylinder engine or a turbo 2.0-liter. Both run efficiently, with the larger engine delivering solid performance. A Hybrid model with a 1.8-liter engine is also available for anyone who wants to be a gas miser. If you haven’t seen the inside of a Malibu in a while, prepare to be surprised. The cabin has a fit and finish that borders on luxury. Parents will appreciate the Teen Driver system, which encourages responsible driving habits. 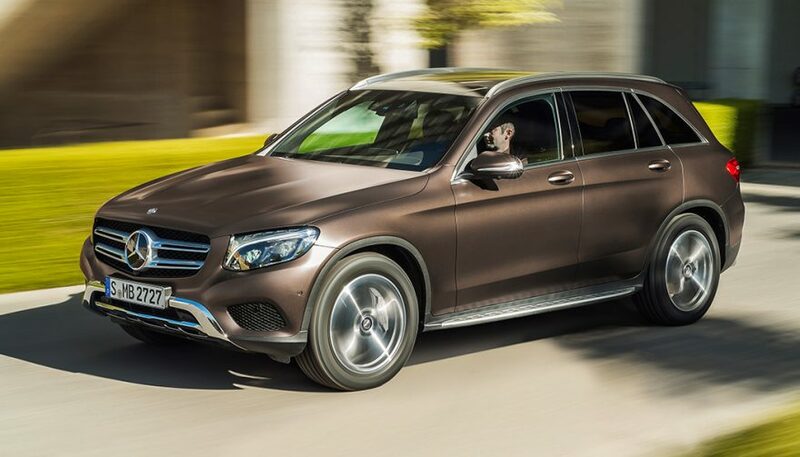 For a more luxurious and utilitarian vehicle that still will go the distance for reliability, the Mercedes-Benz GLC is a great choice. It replaces the GLK, which also ranked well on multiple studies. While the relatively high cost of maintenance might scare more budget-friendly shoppers away, when compared to other premium European SUVs, this one offers fewer problems. You can get the GLC in a few varieties, including the 350e hybrid, if you’re also looking to cut down on fuel consumption. Among the impressive equipment is Attention Assist, which monitors 70 different items related to your driving to watch for signs of your being distracted or too tired. A powered rear liftgate and power-folding mirrors are among the many convenience items. All these features are supposed to function well for the long-term, so you’re not visiting the dealer for issues constantly. 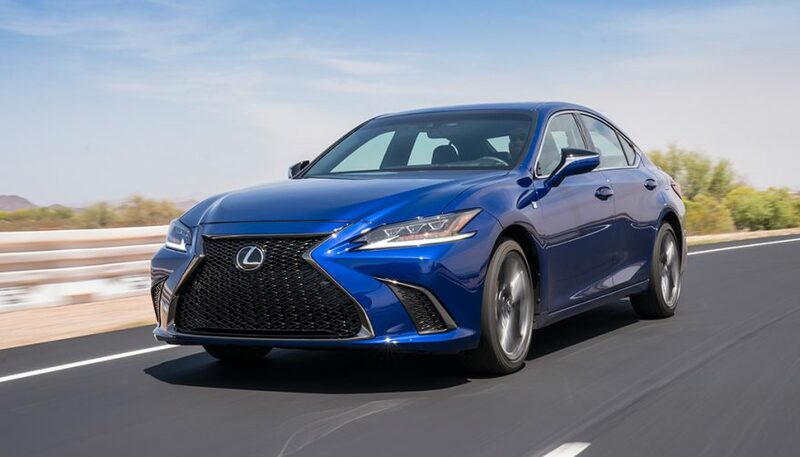 Some people may call it “vanilla,” but the Lexus ES is undeniably well-built and reliable. Not everyone is a fan of the large spindle grille or sharp-angled headlights. If you can get past the looks, what you get is a smooth-riding, efficient, and roomy car. In fact, the backseat features so much space that three adults can fit without being scrunched. The ES was one of the first luxury vehicles to get a hybrid powertrain, which is still very much part of the lineup. Also in the mix is a Mark Levinson sound system with 15 speakers, the Lexus Safety System suite of technologies, and selectable drive modes. 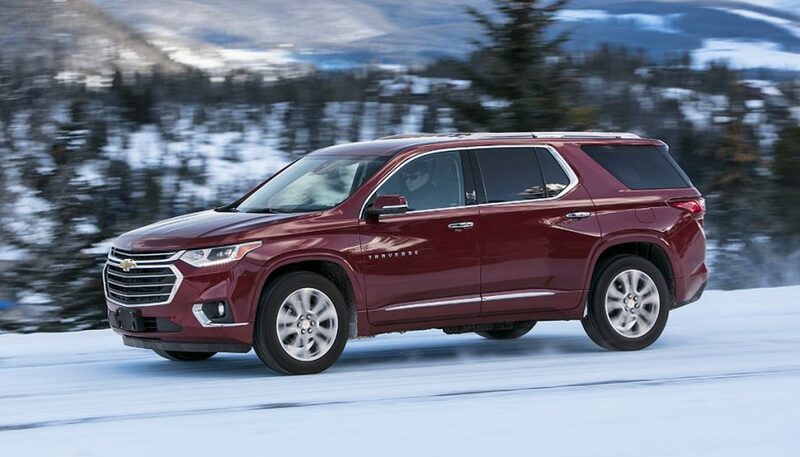 If you want to take a lot of people somewhere but hate the feeling of a harsh-riding and cumbersome SUV, the Chevrolet Traverse is a breath of fresh air. Not only does this crossover rank high on reliability studies, but it will also remind you of a driving a car. Unlike some newer crossovers, there are no ridiculously tiny seats, and the third row has excellent legroom. If that sounds too good to be true, the cargo area behind the rear seats is pretty decent. If you go with the fully-loaded models, the interior can be downright luxurious. But, the more budget-friendly models are still nice enough to be quite enjoyable from day to day. Among the long list of available equipment, the Traverse includes a hands-free power liftgate, 4G LTE mobile WiFi, and a smart Rear Seat Reminder feature that guards against parents forgetting their child in the vehicle. Yes, another Lexus. The GS is a sedan you might gloss over, but really it’s worth taking a closer look at it and even testing one out. While it has the smoothness of the ES, its styling is arguably more refined and it packs the punch to back the aesthetic aggression up. Rear-wheel drive makes the vehicle a blast, especially when combined with the 3.5-liter V-6 that’s tuned to produce 311 horsepower. This large sedan can dash from 0-60 mph in just 5.7 seconds. You can control shift points on the 8-speed automatic transmission via paddles mounted to the steering wheel. If that’s not enough, the F-Sports model has Adaptive Variable Suspension and a Torsen limited-slip differential for amazing handling, even at the car’s limits. Naturally, this car is about more than just fun behind the wheel. The exterior looks edgy, but the interior serves up loads of soft luxury through well-contoured seats, a power rear sunshade, auto-dimming mirrors, front seat heaters/ventilation, and more. The optional navigation system uses a 12.3-inch screen to show maps and 3D views of cities in surprising detail. 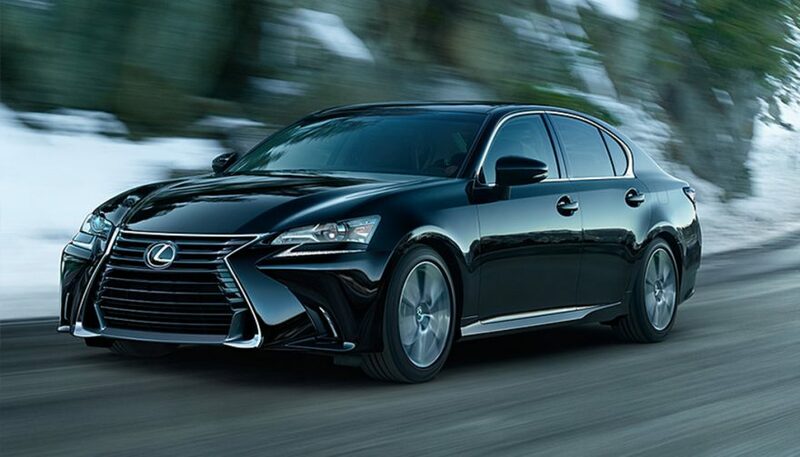 If you need additional help finding a particular place, Lexus Enform Destination Assist puts you in touch with a live agent at any time of day, every day of the year. 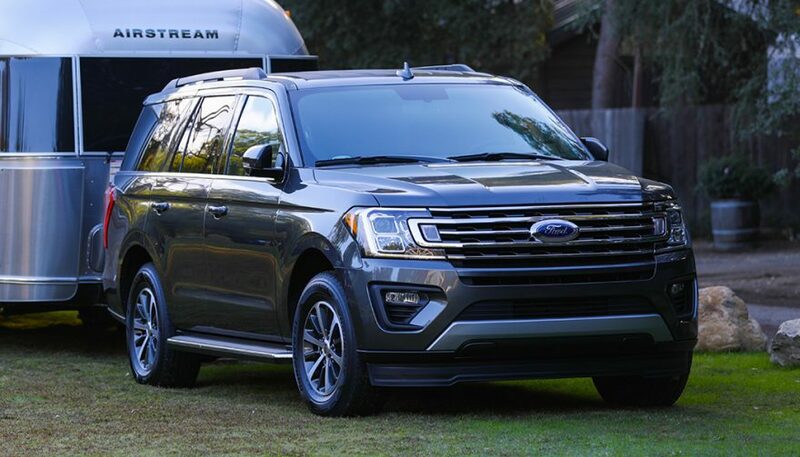 It just got a complete makeover, but the previous generation of the Ford Expedition earned a reputation as a vehicle you can rely on day after day. Like the Suburban, the interior is exceptionally spacious in every way, so transporting a crew of tall and large adults isn’t a problem. The MAX models also feature a rather large cargo area, so you could take everyone on a big Costco run or extensive road trip without slapping a roof pod on the SUV. There’s plenty to love about the Expedition, besides its reliable nature and size. For example, if you go for a Platinum model, it adds luxuries like power-folding third-row seats, heated and ventilated front seats, power-deployable running boards, a panoramic moonroof, enhanced active noise control, voice commands, satellite radio, blind spot monitoring/rear cross-traffic alerts, and more. An additional Ford feature includes Sync Connect. Getting Sync Connect allows the possibility of 4G LTE connectivity through an onboard mobile WiFi hotspot, which accommodates up to 10 devices at once. Another option to keep passengers happy on the go is the rear entertainment system, which can play live cable television or even content streaming from a mobile device. If you still associate the Kia brand with seas of cheap, hard plastic and large body panel gaps, it’s time you give it a second look. 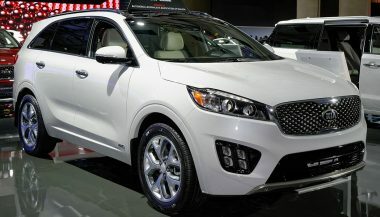 Kia has gone through a transformation of late, and while not a premium line, it delivers a level of quality that rivals many older competitors. 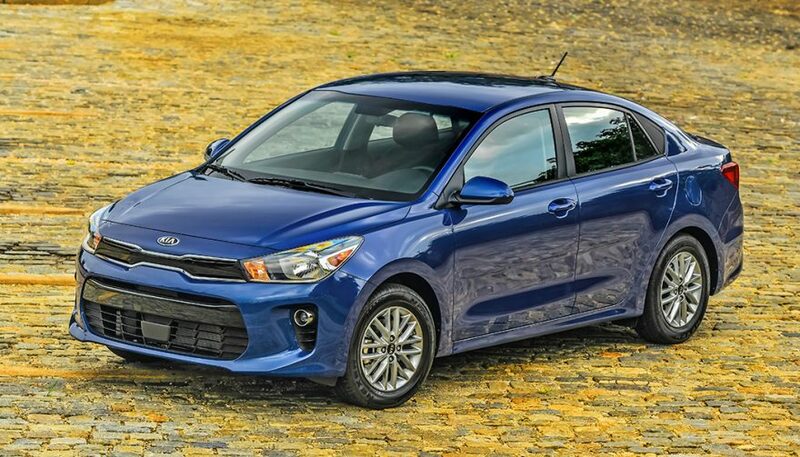 The Rio subcompact car has a solid reputation for reliability, so if you need a commuter or kid vehicle that will go the extra mile without breaking down, it’s a great option to consider. While not flashy, the Rio is an overall decent-looking car inside and out. You can get some nice upgrades, like a 7-inch UVO infotainment touchscreen, autonomous emergency braking, Apple CarPlay, 3 USB charging ports, leather upholstery, a 60/40 split-folding back seat, to name a few. Under the hood is the trusty 1.6-liter four-cylinder engine that supplies 130 horsepower and 119 lb.-ft. of torque. You can pair it up with a six-speed manual or six-speed automatic, which is a nice choice to have. If your neck of the woods is like many, the sheer number of Lexus RX SUVs on the road is almost daunting. Apparently, that’s partly because you can’t kill the things, so it’s an attractive option for hassle-free vehicle ownership. On top of that, the RX has a build quality that’s tough to beat, from the tight body panel seams to the well-composed interior. Take one for a cruise on the highway, and you’ll notice the cabin insulation keeps the vehicle quiet, even at high speeds, for a serene environment. 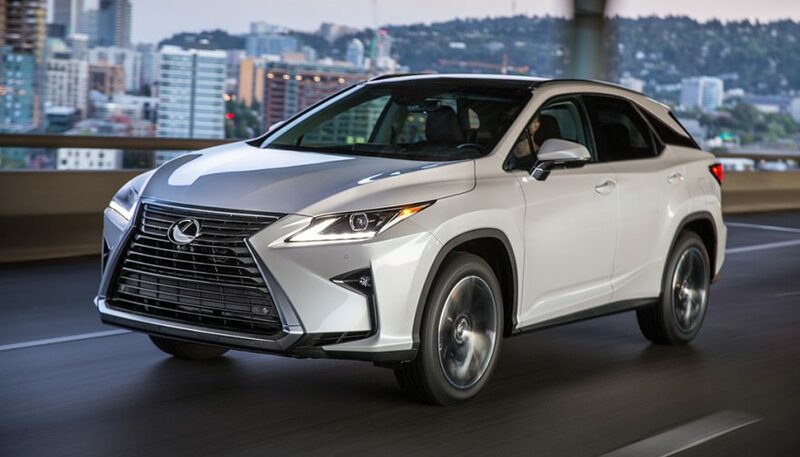 You have choices with the Lexus RX, thanks to the availability of a hybrid model, which has been around for quite some time. 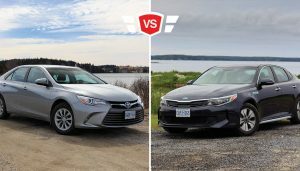 Even though Toyota is well-known for extensive testing, the fact that these technologies have been vetted through years of customer use only means your experience should be trouble-free. If you want some thrills, the F-Sports model features special suspension tuning and a special Sport S+ mode that prove to be more engaging. Added to that is a whole range of impressive luxuries and technologies. A touch-free power rear liftgate means you can place an elbow or hand near the vehicle badge and the hatch opens automatically. Multi-zone climate control means the driver, front passenger, and rear passengers can all choose a setting they desire. The 12.3-inch infotainment screen extends out of the top of the dash, so you can manage the sound system, get directions, and even answer phone calls without looking down. 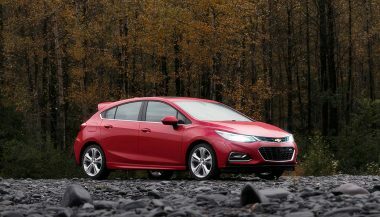 The 2018 Chevrolet Cruze Diesel offers up impressive fuel economy without the diesel clatter of the past. Check out our review here!